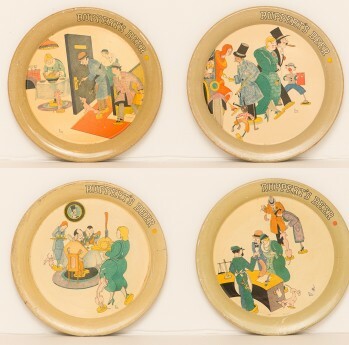 Set of 4 tin litho tip trays for Ruppert's beer created by illustrator Hans Flato. 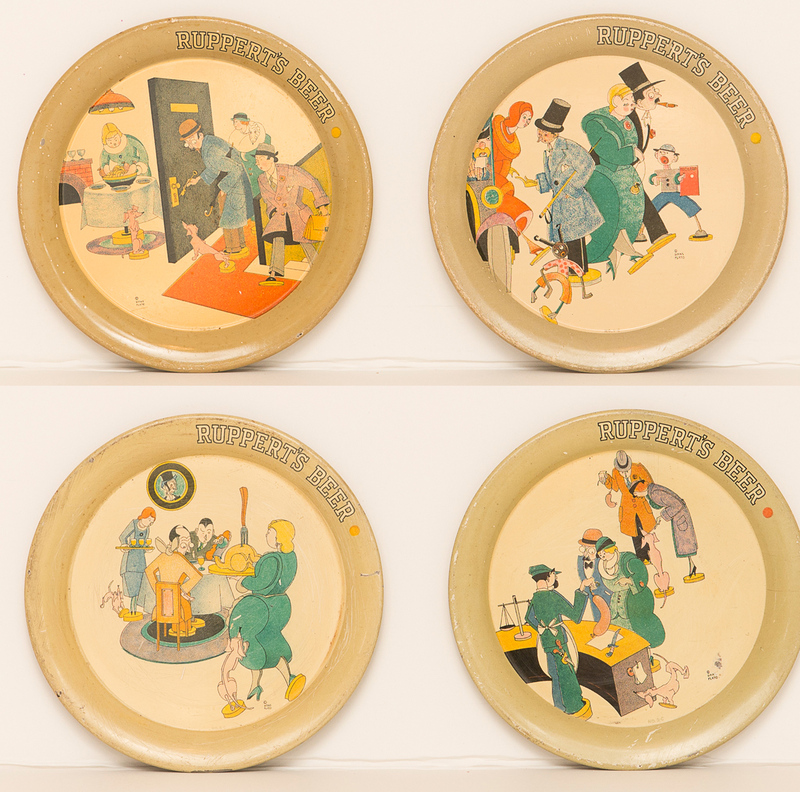 These trays match the four serving trays being offered in lot #310. All four trays have great color and gloss.